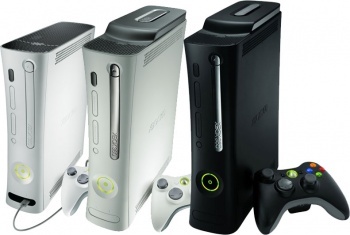 A judge in Ireland has ordered a Belfast teenager to surrender his Xbox 360 to teach him what it's like to lose something he values. Here's a story that warms the cockles of my heart and while I may not know exactly what a cockle is, I do know that I like it when a creative judge drops the hammer of imaginative justice on some teenaged idiot. Like the story of a 13-year-old Irish lad accused of committing a string of robberies who applied for release on bail. A High Court judge agreed but as part of the process asked him what he owned that really meant a lot to him. Were he a few years older he might have seen this coming but, blinded by his youthful naivete, he said, as many young teens would, that his Xbox rig was his most prized possession. Fine, said the judge, who then took it away. The boy was told that his system would be returned to him once his charges were taken care of and in the meantime, it would teach him what it was like to lose something he treasures. The lizard part of my brain enjoys this story because, hey, punk kid suffers. But on a more socially conscious level I also hope that the poetic justice laid down by this judge does some good and that this kid realizes that behaving selfishly hurts other people - and that the knowledge inspires him to get his stuff straight. Punishment that amuses and corrects? That's my kind of justice.